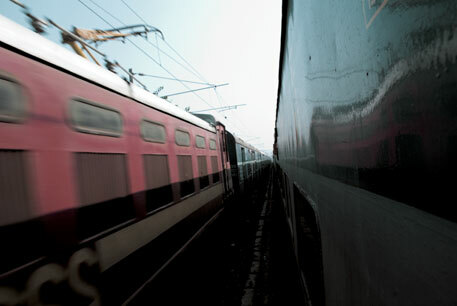 Indian Railways is in process of evolving a roadmap for greenhouse gas (GHG) reduction. It intends to club all its projects in the rail sector for the proposal under Nationally Appropriate Mitigation Actions (NAMAs) under the UN Framework Convention on Climate Change. The matter was discussed during a workshop organised by Ministry of Railways and Asian Development Bank on NAMAs in inter-urban rail in New Delhi on May 23. According to Indian Railways, the objective is to reduce GHG emissions through low-carbon inter-urban passenger and freight transport, and tools like NAMAs can be used for technology transfer and financing. The projects include dedicated freight corridor, doubling of lines, construction of new lines, electrification of trains, investments in terminals, investments in locomotives, coaches, wagons and technology upgradation, among others. The present green initiatives include induction of light weight stainless steel coaches and new design of freight stock, high-horsepower and fuel efficient diesel locomotives, double-decker trains and suburban trains with regenerative braking features. Indian Railways plans to increase the renewable energy share from 10 per cent to 20 per cent by 2020. At present, Indian Railways is harnessing wind and solar energy from its 10.5 MW wind mill plant and solar PV modules of about 5 MW installed at railways stations and buildings. It was discussed that the policy proposals in India recognise that to reduce GHG emissions from transport sector requires the shift away from road and air and towards rail and water. Railways are considered more energy efficient and less polluting than road transport for long-range trips and they also use less land while carrying more people and goods. Emissions reduction from improvement in the rail sector over the next few decades with all planned investments are estimated to save about 1.3 billon tonnes of CO2 from 2014 to 2030. Over that past two decades, roads have become the predominant mode of transportation in India. The share of rail with respect to road has declined from 86 per cent in the 1950s to 36 per cent in 2012 and the share of rail with respect to road of passenger traffic from 74 per cent in 1950 has declined to 15 per cent in 2012. Unless significant investments and measures are implemented this trend can continue, according to experts. “In India there is a steeper decline (in rail’s modal share) than that witnessed in other larger economies,” says A K Rawal, additional member (planning), Ministry of Railways. “It is essential that an attempt be made to reverse this trend or at a minimum arrest it, this will require making strategic decisions regarding relative allocation of investments to railways rather than roads, and accompanying pricing and taxation policies that can be used to nudge transport demand towards desired modal shares,” he adds. While the new government at the Centre has begun the discussions on devising a long-term plan for a modern network of high-speed trains in the country the Indian Railways has to do much to build the confidence of people. Also, the existing services need equal focus—except for some Shatabdi and Rajdhani trains, most other trains lack quality and reliability of services. It is also said that railway freight is losing out to road transport as it has become expensive and unreliable. Time is ripe for new projects but also for much needed focus on existing services.